← how does God’s kingdom relate to ruling powers? wittenberg remixed: nailing some more theses? These theses largely protested clerical abuses in the Catholic Church at the time, in particular the dealing of indulgences and issues around papal authority. 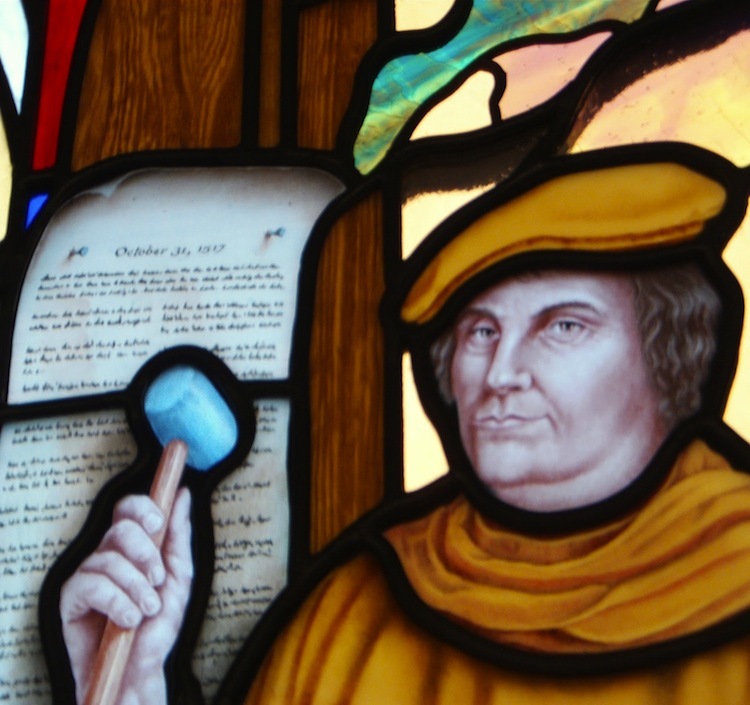 This event is thought by many to have been the initial spark for the Protestant Reformation. Should we continue to reform? This is a particularly relevant question in light of the New Reformed movement, which is coming largely out of America, with it’s zeal for Reformation theology. If the Church should be reforming, what areas do you think it should be focusing on? Why? * For those interested it is also the day that Mussolini became Prime Minister of Italy (1922), and also the day George W. Bush signed an executive order restoring Libyan government immunity from terror-related lawsuits and dismissing pending compensation cases (2008). It is also Vanilla Ice’s birthday (1968). ** Marcus Licinius Crassus was considered the richest man in Roman history. Posted on October 31, 2011, in Church/Ecclesiology, Mission, Theology and tagged 1517, 31st October, 95 Theses, Catholic Church, Martin Luther, Protestant Reformation, Reformation, Wittenberg. Bookmark the permalink. 2 Comments. Well I don’t know about you, Matt, but I get the feeling we’d be some of the first people on the pyre were the neo-Calvinistas as serious as their predecessor. Certainly if it was old Calvin we would be in trouble… We might be OK if it were young Calvin. “Counter-reformation against modernist theology” – I assume you mean they are harkening back to modernism? In that case I completely agree. The obsession with certainty of knowledge and universalisation is scary, particularly when the metanarratives are so exclusive and oppressive. In a certain post-that-was-removed recently I noted that Luther had serious questions about certain biblical books finding inclusion in the canon – I wonder how the Neo-Reformed guys would deal with that?